NRA Certified Range Safety Officers are instrumental in keeping shooting ranges safe for those shooting at the range. However, RSOs only follow and enforce the rules and regulations. If you want to develop and implement range operating procedures, manage the range, or teach students how to become an RSO, you need to be an NRA Certified Chief Range Safety Officer. In order to take the NRA Certified Chief Safety Officer Training Course, you need to hold some NRA certifications already. You have to be an NRA Certified Range Safety Officer and you also need a current NRA Basic Instructor Training (BIT) or take and pass the NRA Basic Instructor Training course. This is a classroom-based course with no live-fire exercises. The classroom instruction includes practically exercising the skills learned, such as developing range standard operating procedures. The course ends with an open book examination covering everything learned. You will receive NRA Basic Range Safety Officer lesson plans, the CRSO Instructor Candidate packet, and basic course presentation CD. If you finish the course with a passing grade then you will also receive a signed certificate. NRA Certified Range Safety Officers are an important part of a safe shooting range but need to be supervised and trained. As an NRA Certified Chief Safety Officer, you will be able to effectively train RSO students with the knowledge, skills and attitude they need to succeed. 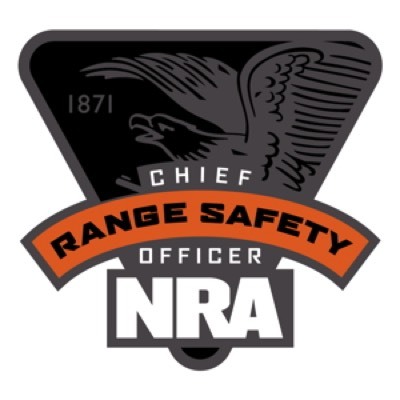 NRA CRSOs also work directly with range owners, facility managers, and range developers to create and implement range policies and are sometimes entrusted with managing multiple ranges. Becoming an NRA Certified Chief Range Safety Officer will allow you to step up and take an active part in developing shooting ranges into the best facilities possible.